One seldom comes across any mention of chaplains in Nautical Fiction, despite the fact that by the Revolutionary and Napoleonic Wars period both all line-of-battle ships and frigates were allowed them. The decision to have such men – usually referred to as “parsons” – may well have rested with individual station commanders. Some admirals and captains were famed for their piety – most notably Admiral of the Fleet James Gambier, 1st Baron Gambier (1756 –1833) – but others were likely to be more casual in their observances in the manner of the 18th Century. 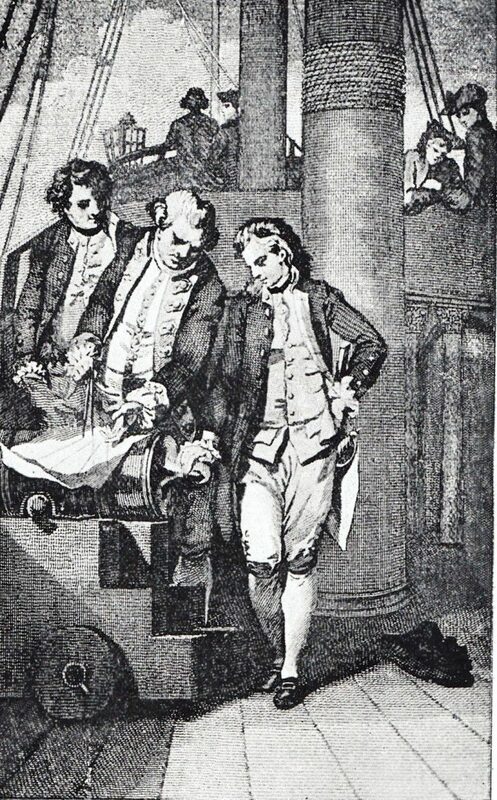 Patrick O’Brian’s “The Ionian Mission” does however feature what Jack Aubrey described as “a whole God damned – a whole blessed convocation of clergy”, six of whom he was to transport to the Mediterranean ”for Admiral Thornton likes to have chaplains aboard.” Such men were expected not only to conduct divine service on Sundays and funerals in the case of fatalities, and take their place in the cockpit during battle to assist the surgeon in matters likely to be temporal no less than spiritual, but also to act as schoolmasters for the midshipmen. It is likely that these clergymen varied enormously in motivation, attitude and piety. Some were almost certainly unlikely to have been able to obtain “Livings” ashore – which were often in the gift of wealthy landowners – and some might have had good reason to be absent from the country on the grounds of financial or moral embarrassment of one sort or another. Some would have been genuinely pious and for many with a scientific bent the opportunity for research in foreign parts would have been irresistible. I came to thinking about such men when I stumbled upon a brief discussion of them in an 1894 book, “The British Fleet” by Commander N. Robinson. It suggests that when chaplains were first assigned, towards the end of the 17thCentury they were not always welcome on board, and for a surprising reason. 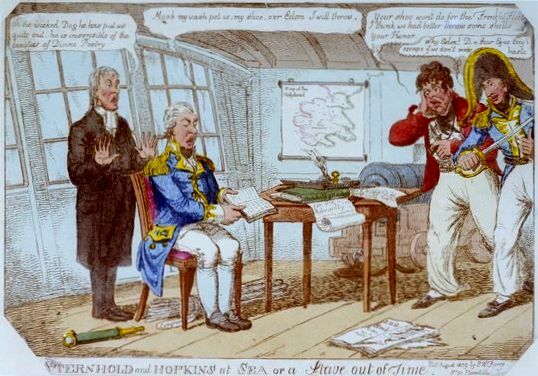 Having time on their hands chaplains tended to write journals, but that the to prevent having any such “true relations of their voyages” – many “gentlemen-captains” preferred not to have them on board. One chaplain who did however write was the Rev. 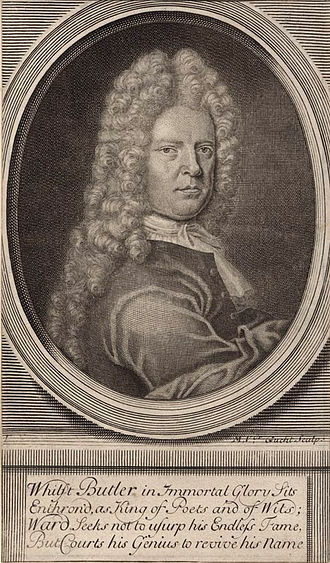 Thomas Pocock, M.A., chaplain of HMS Orford, in 1698, the Ranelagh in 1704, and the Union in 1711. His journal principally relates to the operations of the Ranelagh off the Spanish coast, the capture of Gibraltar, and the battle of Malaga. Pocock summarised a typical Sunday’s duties as “I preached this morning on the quarter-deck, read prayers about 4. I catechized first the volunteers and then the officers’ boys, and I distributed about 100 books among the ship’s crew. I gave six young gentlemen 6d. a piece for learning the 6 first Psalms.” The mention of the 100 books is interesting in that it may hint at a higher standard of literacy on the lower deck than we perhaps think typical of the period. Ward combined the occupations of journalist and tavern-keeper after travels to Jamaica and New England, in neither of which he made his fortune. His first success came with “The London Spy”, a satirical work published in 18 monthly installments which purported to be a “complete survey” of the London scene. He built on its success with over one hundred further satires in prose and verse which targeted just about every power and interest group of his time. 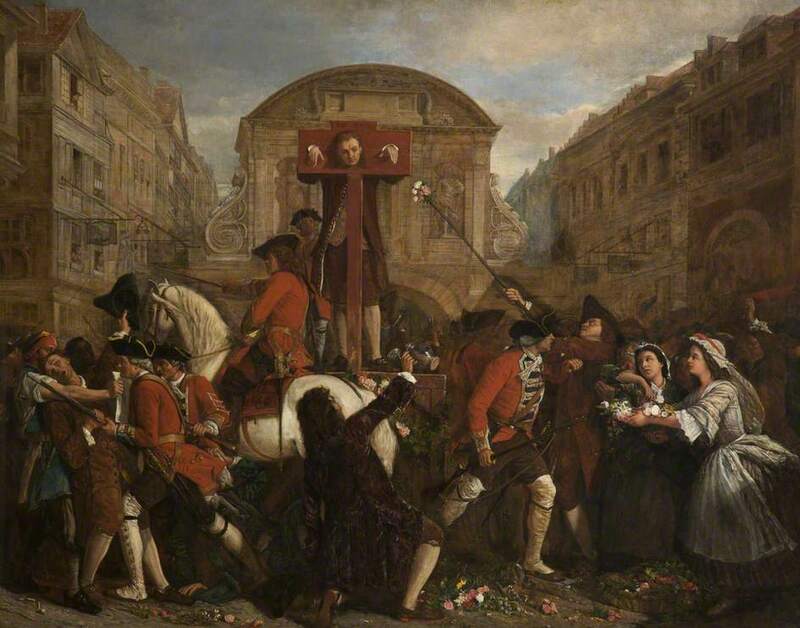 He also got so heavily involved in politics and in 1706 he was twice arrested for “seditious libel” of the Whig government and condemned to stand in the pillory on both occasions. Like his contemporary journalist Daniel Defoe, he seems to have come uninjured through this ordeal. Ward’s writings became popular even in the Americas, and it must be to his credit that he evoked the ire of the Puritan supporter of the Salem Witch Trials, Cotton Mather. This luminary warned in 1726 against pestilences “all those worse than Egyptian Toads (the Spawns of a Butler, and a Brown, and a Ward…)”. One suspects that Ward would have been rather proud of this! A short list of the names of some of Ned Wards pamphlets, as listed below, is a delight in itself – the first on the list is especially intriguing – and I’ll be looking to learn more myself about this colourful character. 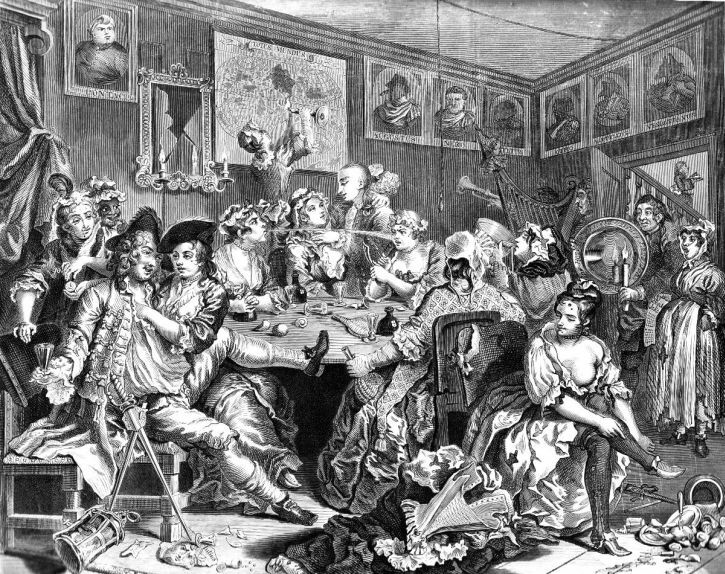 The Secret History of Clubs (1709) – which contains one of the first descriptions of the gay scene in London. A man who thought up titles like these must have been entertaining to know – though not if one was to become the target of his satire! As to the literacy of the lower deck denizens for having accepted 100 books, perhaps they were kept to be bartered or sold, as paper was in short supply among many at that time. Or perhaps they were gladly accepted in order to eventually be rudely used as a precursor to the bog roll. Good to hear from you James! There seems to have been an increase in literacy – an interest in books, in the years of modernisation post-1880. Some very interesting insights are provided in “The Handy Man Ashore and Afloat”, a collection of reminiscences, rather than a formal memoir, by a naval chaplain, the Rev. G. Goodenough (Click on https://dawlishchronicles.com/2018/03/27/shore-leave-hms-trafalgar-1890s/). He mentions that books had become widely regraded once ship’s libraries were established and mentioned one seaman who had worked through all of Gibbon. Equally popular was “Ashore and Afloat”, the magazine published by the magnificent Miss Agnes Weston, who features as a minor character in some of the Dawlish Chronicles novels.